The visit by Bulgarian President Rossen Plevneliev to Israel from October 22 to 24, the latest in a series of high-profile exchanges of visits between Sofia and Jerusalem, is also an overture to one of the most symbolic events ever planned by the two countries, the 2013 commemoration of the 70th anniversary of the prevention of the deportation of Bulgarian Jews to Nazi Holocaust death camps. There was more on the agenda of the Plevneliev visit, of course, including the continuing dialogue on the investigation into the July 2012 terrorist suicide bombing attack on Israeli tourists at Bulgaria’s Bourgas Airport, as well as talks on co-operation in high tech and other areas of investment. Plevneliev also led his delegation on a visit to the Palestinian authority, with co-operation agreements being signed between Sofia and Ramallah, given the current administration’s determination to further develop constructive ties with the Arab and Muslim world – a foreign policy course that Foreign Minister Nikolai Mladenov adopted on taking office in that portfolio in January 2010 and one that has been made all the more challenging by the turbulent changes in the Middle East and North Africa in the past more than a year. Plevneliev’s host, Israeli president Shimon Peres, receiving the Bulgarian head of state at the start of his visit on October 22, said that Israel would never forget that Bulgaria had rescued many thousands of Jews from death at the hands of the Nazis. “Bulgaria is a true friend of Israel that stood up to save the Jewish people from the Nazi regime,” Peres said. The Israeli president, in a Facebook post, added that Bulgaria had sided with Israel after the Bourgas Airport terrorist attack. 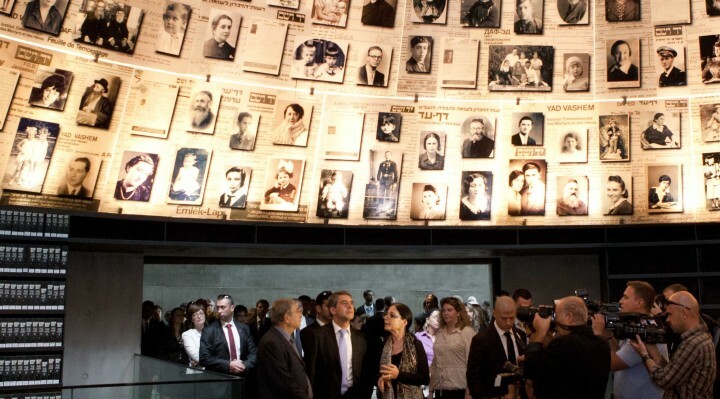 Plevneliev said that the 70th anniversary commemorations in 2013 would be an occasion to pay tribute both to the victims of the Holocaust and to venerate the power of the human spirit, humanity and tolerance. He invited Peres to Bulgaria for the commemorations. Peres said that the Middle East could learn from the route that had been travelled by Bulgaria and the Balkans. “After such a significant change could happen in the Balkans, we should not despair and assume that the cessation of violence in the Middle East is impossible,” Peres said. At his meetings with Peres, with prime minister Benjamin Netanyahu and with the speaker of the Knesset, Israel’s parliament, Plevneliev issued assurances that Bulgaria’s institutions were working non-stop to find out who was responsible for the suicide bombing attack in July in which five Israeli tourists and a Bulgarian died. This touches on a sensitive issue, because Israel has publicly and repeatedly laid blame at the door of Hezbollah and Iran, citing intelligence sources.Bulgaria has been reticent about apportioning blame publicly before investigations are completed. Notably, Netanyahu said during Plevneliev’s visit that the investigation into the bombing would achieve results in the short term, public broadcaster Bulgarian National Radio reported. In talks with Netanyahu, Plevneliev said that investigators still had work to do on the Bourgas bomb attack. He said that he monitored the investigation “24/7” and was sure that the investigators were on the right track and he was sure the results would follow. Knesset speaker Reuvel Rivlin invited the family of Mustafa Kyossev, the Bulgarian bus driver who died in the terrorist attack, to visitIsrael. 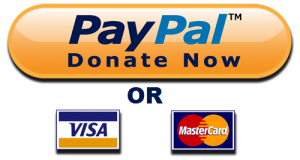 “All the Israeli citizens injured in the bombing in Bourgas and their families are grateful for the support provided to them by the Bulgarian authorities and the involvement of the Bulgarian people,” Rivlin said. Bulgaria and Israel hold common positions on Iran, BNR reported after the Plevneliev – Netanyahu meeting. The Bulgarian President and the Israeli prime minister said thatIranshould provide more clarity about its nuclear programme and the economic sanctions imposed onIranmust be combined with diplomatic efforts to find a solution to the issue. Netanyahu said that ifIranwas allowed to build nuclear weapons, this would be a threat to the entire world. “Such weapons will become a global threat, and if this threshold is crossed, the world will be different and the process will be irreversible,” Netanyahu said. Knesset speaker Rivlin expressed Israel’s appreciation for Bulgaria’s constructive position on direct negotiations between Israel and the Palestinian authority. “Israel supports the restoration of direct talks and this should be done without preconditions imposed by either party,” he said. Plevneliev said that he saw great potential for the development of co-operation between Bulgaria and Israel in trade, culture and tourism. “Israel has a leading role in the field of high technology and this makes it the preferred partner of our country in the implementation of projects with high added value,” Plevneliev said on October 22 at the start of his visit. He visited a high-tech park inJerusalemand the Weizmann Institute of Science in Tel Aviv. Key aspects of the agenda of Plevneliev’s visit toIsraelwere meetings with investors interested in small and medium-sized enterprises and looking at Israeli experience in implementation of new technology. According to a statement by President Plevneliev’s office, he and Netanyahu agreed thatBulgariaandIsraelhave excellent co-operation in defence and security and this potential should be fully used in the future. 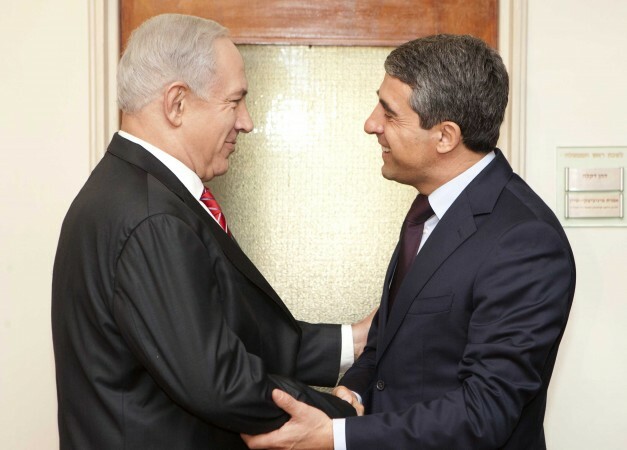 Plevneliev said during his meeting with Netanyahu that Bulgaria had a lot to offer Israeli companies. “Bulgariacan be attractive to foreign investors because of its financial and economic stability, easy access to the single European market, low taxes and skilled workers,” Plevneliev said. He called for the establishment of direct links between clusters of Bulgarian and Israeli companies, and said that Israeli companies had a good opportunity in the form of building data processing and storage centres in Bulgaria. On the day that Plevneliev held talks with Palestinian authority president Mahmoud Abbas, there were missile attacks on Israel from the Gaza strip, followed by retaliatory Israeli air strikes, BNR reported. During their talks, Abbas expressed gratitude for Bulgaria’s support for a two-state solution. He reiterated the Palestinian authority’s determination to apply to the United Nations for non-member status. This step was not in conflict with the Middle East peace process or an alternative to direct negotiations, he said. 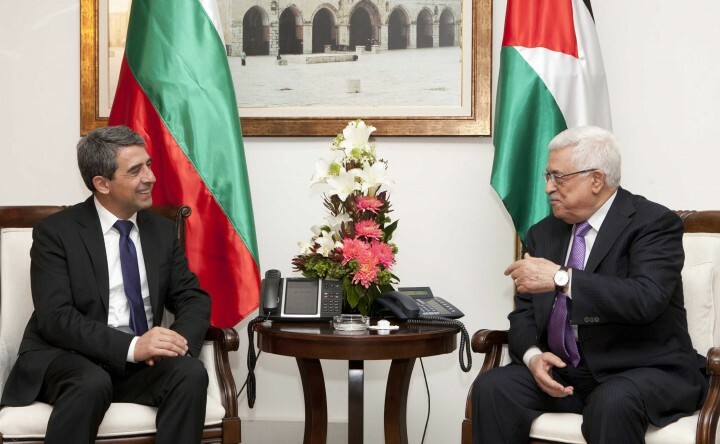 Plevneliev said that Bulgaria would support the EU’s efforts to develop a common position on the issue after taking note of the specific terms of the Palestinian request to the UN. Plevneliev expressed optimism about active bilateral economic and trade ties. He said that there were particularly promising opportunities for the development of bilateral co-operation in the fields of engineering, pharmacy and infrastructure. He also noted that Bulgaria had expressed its support for the action plan and the interim agreement with the EU in the Palestinian authority territory. Plevneliev confirmed Bulgaria’s support for the actions of the European Commission to alleviate the situation of the population in the West Bank. Agreements were signed between Bulgaria and the Palestinian authority on agriculture, on mutual protection and exchange of classified information and on a work plan for co-operation between the social ministries.